12 Things Your Gym Bag Should ​*Always*​ Have! You know that you are going to sweat, so why not be prepared for it? Carry a small hand towel to wipe off the sweat when you’re working out and a big bath towel to use after you shower post-workout. Your gym might offer towels, but it’s always a safer bet to carry your own! Even the comfiest shoes have a tendency to cause painful blisters. But a small discomfort like this should not stand in the way of you having a good workout! So don’t forget to stock up on adhesive bandages. If you run a lot, pick shoes that are slightly bigger since runner's feet tend to expand/swell when they run long distances. 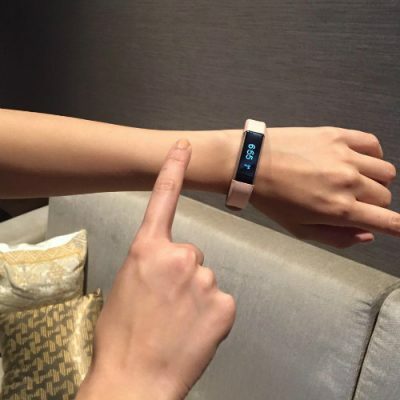 Fitbits are a must-have for every fitness enthusiast because they’re a great way to track calories burned, the number of minutes you spend exercising and your steps. The Fitbit Alta automatically recognizes and tracks various gym activities including running, elliptical, aerobic workouts and Zumba, and records it in the Fitbit App so you have a history of all your efforts, motivating you to keep moving! It also doubles up as a futuristic wristwatch with easy to swap out bands so you can wear it outside gym hours too. Since the device shows your progress in real time, it is really handy to have around when you’re working out. Wearing a sports bra while working out is a fundamental rule for all girls because your twins bounce while exercising and might get sore or start to sag if not given proper support. Also, finding the right kind of workout footwear is important. Sneakers are specially designed to support your foot in different areas depending on the type of activities you do as well as the way you walk. Wearing the wrong kind of footwear to the gym can cause a foot injury and slow down your progress. Make sure you invest in a good pair of workout shoes. It’s good to be armed with sanitary napkins because Aunt Flow can visit any time. You know it! Most people don’t like the music that is played at gyms. If you are one of them, then make sure to carry your earphones and a music player. 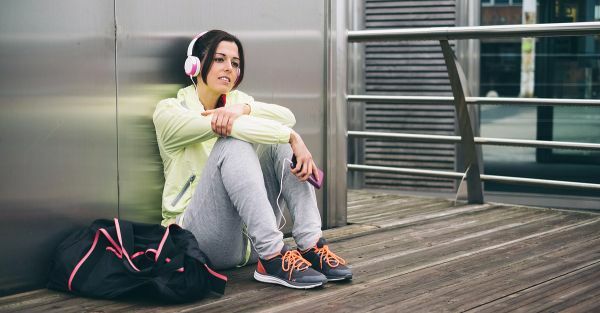 A high energy playlist of your own choice can keep you motivated throughout even during the dullest of workouts. Loose hair while working out is obviously a big no-no! 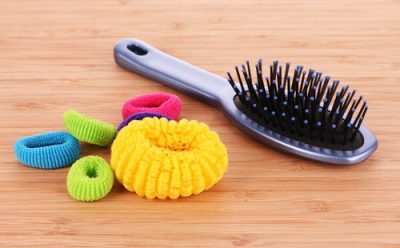 So, it never hurts to have extra hair ties for yourself and for anyone in need of them! Also, don’t forget to carry your hairbrush, you’ll need it after the workout. 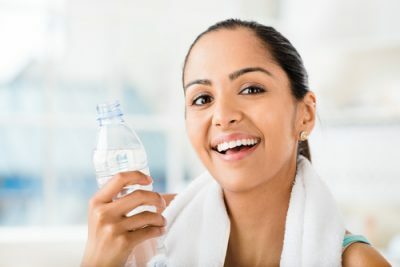 It’s important to stay hydrated during your workout and if you don’t want to keep running to the water cooler between sets, make sure to carry your own bottle! These days there are even smart bottles connected to mobile apps to help guide you on water consumption. Munching on a small energy/protein bar after your workout will do you good. This helps you recover some energy and also prevents you from indulging in unhealthy snacks post workout. Make sure you choose bars which have no added sugar. 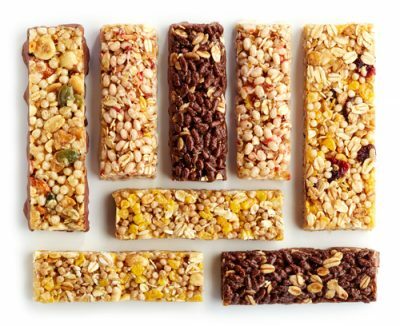 Energy bars usually contain a lot of fibre, nutrients and (sometimes) caffeine that instantly boost your energy levels and help you perform better. Magnesium is also a good supplement to have handy after a workout as it helps to lessen those post-gym muscle aches. Even when we’re extremely careful, sometimes, muscles inevitably get pulled and injuries do happen while working out. Be prepared for small cramps and muscle pulls. 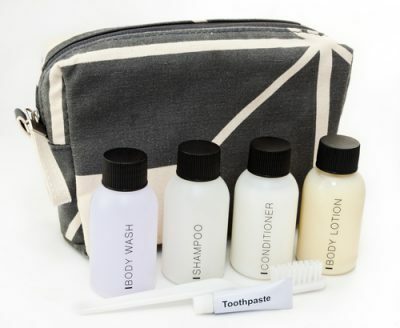 Carry pain relieving sprays and ointments in your gym bag. Don’t forget to carry travel-size shampoo and conditioner for your post-workout shower. No one enjoys clumped and limp hair! Pus, if you’re going out after your workout, you’d want to look and feel fresh, right? Deodorant is a must before any workout to avoid embarrassing and unpleasant body odour. Sweating in inevitable, but B.O can totally be controlled! So choose a deodorant that is strong enough to last the duration of your workout. *This is a sponsored post for Fitbit Alta.